and writer – for starters. smoking cold turkey after a visit with a hypnotist. 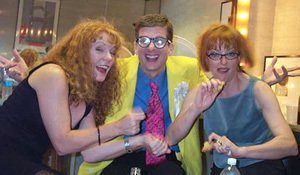 Reader Critic’s Choice show in 1999-2000, the dinner-theatre parody Taint! hosted "Landmark After Dark," a Midnight Movie series for Landmark Theatres. location of Chicago's "ultimate comfort food destination, Kitsch-n.
theatrical hit Sunday School Cinema. Hell in a Handbag theatrical troupe. 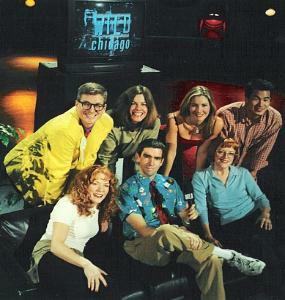 co-hosts Denise LaGrassa (at left) and Mindy Bell.